I see it all the time. When people over 60 break a hip, they rarely recover the independence they had before the break. Many of them die due to infection. This is very common. Fortunately, modern medicine has made great strides in helping people survive and recover from a hip fracture. But the ability to remain independent is elusive for many of these folks. So it’s vital you avoid breaking your hip as you age. Unfortunately, if you’re depressed, the medication your doctor prescribes to treat your mood can significantly increase your risk of suffering a hip fracture. I’m referring to the group of drugs called selective serotonin reuptake inhibitors (SSRI). These include Prozac, Zoloft, and Lexapro. Any of these drugs can double your risk of fracturing your hip. But it’s not just your hip that you have to worry about. These drugs can increase your risk of breaking just about any bone in your body. A new study suggests that you’re twice as likely to break your hip or shatter your femur if you take one of these drugs. A team of scientists from various Canadian research centers followed more than 5,000 people who were over the age of 50 and who were taking SSRI antidepressants on a daily basis. The patients were part of a larger group called the Canadian Multicentre Osteoporosis Study. They followed these folks over five years and kept a careful record of any fractures. The patients completed thorough questionnaires about any broken bones caused by everyday minor events. These were the kinds of accidents that happen right in your home in everyday life. The histories included any cases of falling out of bed, off a chair, or similar minimal trauma incidents. Doctors had confirmed all the fractures by X-ray. The results were astonishing. The study found a direct link between fragile bones and the use of antidepressants. It discovered that taking these medications daily doubled the risk. And if a person doubled the dose of their medication, the risk went up another one-and-a-half times. This is terrible news for anyone taking antidepressants. We have a real epidemic of mood disorders in this country. And broken bones are a leading cause of death in elderly people. Complications from a fall that results in a broken bone are one of the major reasons why people end up in nursing homes. Sometimes these events lead to life-threatening infections and death. This study found that these serious risks aren’t just in the elderly. It’s also a factor in the health of younger people, too. Doctors are prescribing these drugs for children as well as adults. This is hitting kids at an age when they are just beginning to establish bone density. Doctors also use the SSRIs in groups of people who are at higher risk for fracture anyway. This includes people who have anorexia or other eating disorders. So what can you do if you have a problem with depression, but want to avoid the drugs that weaken your bones? Treat your depression naturally. Depression, stress, and grief are common causes of mental impairment that are short-lived and usually easy to treat. I’ve talked a lot about treating acute and chronic depression in past issues of Nutrient Insider. But it’s important to remember that while temporary cases of depression are normal – chronic depression is not. Sadly, doctors now consider depression a normal part of aging. The National Mental Health Association reports that over 58% of older adults believe depression is a normal part of aging. Late-life depression affects about six million people, most of them women, and 90% of which never get treatment for their condition. Depression can be a serious matter. It steals away your enjoyment of day-to-day living, complicates other medical conditions, and, in the worst of cases, can lead to suicide. So you definitely don’t want to ignore it. But I would take a nutritional approach before I ever resorted to drugs. You see nutrition is your best bet for brainpower at every age. Your brain is made up of billions of cells. The brain cells are nerve cells called neurons. These nerve cells send and receive chemicals called neurotransmitters. When your brain releases these chemicals, it sends our thoughts, feelings, and even memories to other neurons all over your brain. The brain cells are literally “talking” to one another. Each cell can talk to hundreds of thousands of other cells in an instant. That in itself is pretty amazing. But here’s the incredible truth. You can consciously create more connections in the form of dendrites and synapses, and sharpen all of the receptors, simply by designing a brain-power diet, including the right supplements and fortifying your brain’s natural defenses against wear and tear and toxins. And you can use the right foods to boost serotonin and the other good mood compounds naturally, while you protect the health of your bones! First, don’t overlook the power of your plate. To fully make the most of your brainpower and mood, you need to really pay careful attention to the foods you choose to eat! Never underestimate the brain-building potential of the foods on your dinner plate. 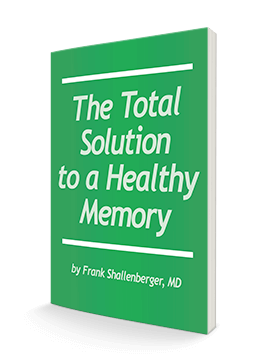 Did you know that fruits and vegetables actually have the ability to reverse memory decline? It’s true! Foods can protect your precious brain from damage by all kinds of mood-destroying toxins in your environment. Better yet, the same foods can even turn back the hands of time when you’re suffering a decline in memory, focus, or concentration. And the most powerful foods are also very simple. Two of the most effective ones are strawberries and spinach! Aside from strawberries and spinach, you can use blueberries, blackberries, even limes and lemons! Antioxidants in various foods and drinks destroy free radicals. Remember, free radicals are circulating toxins that injure the brain. Prunes, blueberries, strawberries, spinach, raspberries, and beverages like green tea and red wine are powerful protectors of your fragile brain. And don’t forget garlic, kale, broccoli, beets, oranges, peppers, and cherries. Loading the diet with antioxidants fortifies the brain, protecting sensitive tissues and blocking attack from free radicals. Be aware that the most colorful foods are also the most important for your health. Enjoy a cup of blueberries; drink a glass of red wine or two cups of black tea. Have half a cup of strawberries and a serving of cooked spinach. Add a serving of fat-rich fish like salmon, sardines, or mackerel and you’re building a well-nourished vigorous brain. Add garlic and olive oil to your salad. Top your eggs with a fresh salsa made with garlic, tomato, onion, cilantro, and parsley. In addition to eating better foods, there’s one drink you need to keep at moderation – alcohol. I told you a few weeks ago that alcohol is the number one cause of dementia. And dementia is closely connected to depression. Depression impacts people with dementia in at least two different ways. First, individuals who have had significant depression in their lives may be at greater risk for developing dementia. Second, many people with dementia have depression; left untreated it makes confusion and forgetfulness worse, damaging quality of life. Keeping alcohol moderated needs to be a major priority for protecting your brain. And drinking too much also increases your risk for falling and breaking a bone. You can treat mild to moderate depression with nutrients. I’d start with fish oils (three grams a day of EPA and DHA from pure, high-quality fish oils). Be sure you’re taking fish oils that are free of contaminants. Another nutrient that helps protect the brain is phosphatidylserine or PS (100 mg/day). It enables the creation of billions of brand new brain cells. PS optimizes brain function, enhances your memory, and nullifies the effect of stress on the brain. PS supports your brain cells’ ability to make more serotonin. This all-natural supplement is available in drug and natural food stores everywhere. I also would take glutamine (one teaspoon of powder in four ounces of water per day). Glutamine is one of the few substances that passes freely across the blood-brain barrier. Once in the brain, your body converts it to glutamic acid and it increases the concentration of GABA (gamma-aminobutyric acid). Both glutamic acid and GABA are essential for proper mental function. Both help to greatly relieve anxiety and brighten your mood. Because of its action in the brain, glutamine supplements have been recommended for preventing the harmful effects of alcohol on the brain. That’s why it’s widely used for reducing alcohol cravings. This makes it an ideal supplement for those who are in recovery. Some sources describe glutamine as a “brain fuel” capable of stimulating mental alertness and clear thinking. Some individuals who were working to overcome panic attacks and anxiety attacks have found that supplementing with glutamine helps. For mood balancing, take a teaspoon of glutamine powder in water when you’re feeling anxious or at times when you may be feeling a craving for alcohol. And, finally, don’t forget about the herb St. John’s wort. This herb is well known for its ability to fight depression and protect the brain. The right dose is 300 mg, three times per day. Don’t use this herb if you’re still taking Prozac or Zoloft. But once you’re no longer on an SSRI, you can wait two weeks and then take advantage of the herb’s power to boost serotonin and lift your mood. The best news is this: These powerfully protective foods and nutrients also help to reduce your risk of fractures. Yes, many of the foods on a brainpower diet are also linked to better bone health. Forget the drugs. Make a commitment to a brain- and bone-building nutrition program and you will go from weak to strong and from down in the dumps to kicking up your heels. Richards, J. Brent, Alexandra Papaioannou, Jonathan D. Adachi, Lawrence Joseph, Heather E. Whitson, Jerilynn C. Prior, and David Goltzman. “Effect of Selective Serotonin Reuptake Inhibitors on the Risk of Fracture,” Arch Intern Med. 2007;167:188-194.